The CD-S500 is ideally suited for point-of-sale applications that require color or monochromatic one or two-ply receipts. A cost-effective printer with the latest in drop-in paper loading technology it is a compact and versatile design. The CD-S500 is available in three models; standard, auto-cutter, and auto-cutter with paper take-up. All models are powered by external AC adapters and have user replaceable interface cards. All versions of the CD-S500 can be wall mounted and are designed to accommodate printing applications including receipts, coupons, tickets, daily reports, kitchen slips and delivery slips. 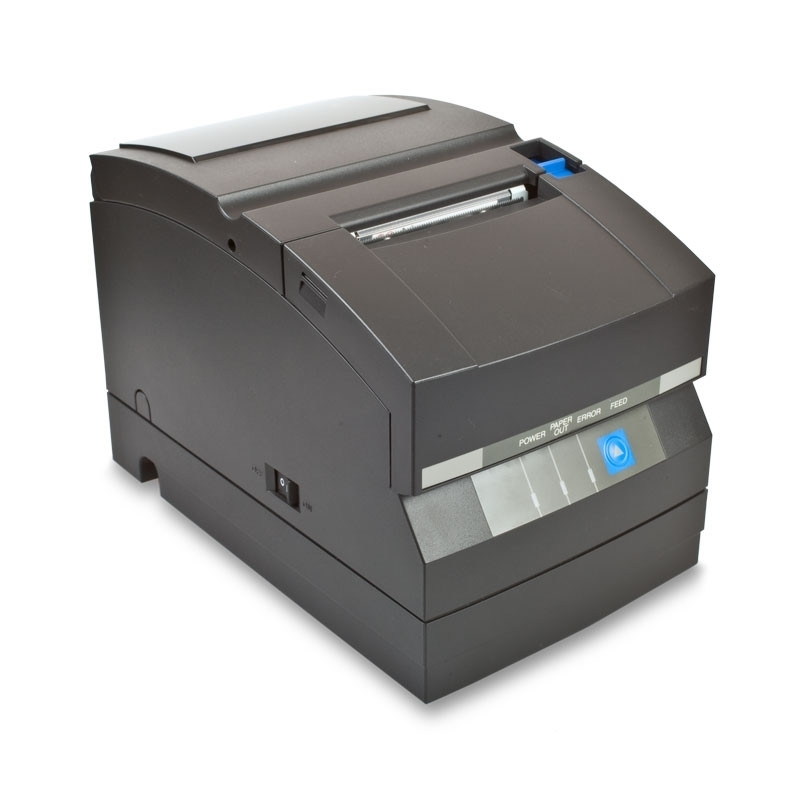 This CD-S500 utilizes a logic seeking head to maximize print speed; it is ESC/POS* compatible and has a built-in buzzer.